You would do anything for the people who matter in your life, no questions asked. But when you’re faced with the responsibility of providing critical support to your loved ones who are ill, disabled or elderly, asking questions is the best way to get the answers you need. What you are looking at is the only digital caregiving tool geared specifically towards male caregivers. If you are struggling with your responsibilities or don’t know how to approach a certain caregiving issue — just ask. There are male caregivers here who have been in your situation and they have the answer. Styes can be quite painful, but luckily pass without much difficulty in three to five days unless extreme in nature. The cause of styes is an infection of the eyelid enabled by bacteria, but occasionally the reason is due to a deficiency of vitamin A. While styes are usually not a great threat to health, they are annoying and can be spread very easily both from one eye to the other and between individuals. It is for these reasons that hand washing is important in prevention, as are common sense practices. 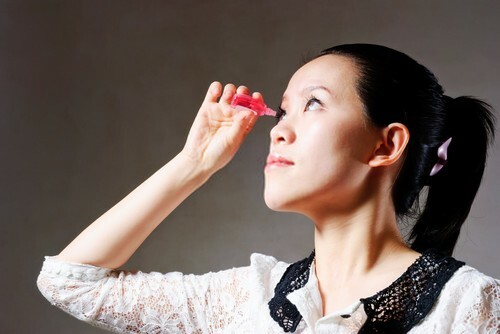 Make-up should never be shared, nor saline eye drops, and those who are experiencing a stye should refrain from wearing contact lenses or rubbing the affected eye altogether. In severe cases of a stye, a trip to the physician may be necessary for treatment using a course of antibiotics. For most styes natural treatments at home work very well in shortening the duration, reduce swelling and relieve associated pain. One of the most practical and common natural treatments for styes is the use of a regular teabag, soaked in warm water and placed upon the eyelid. The tannic acid in tea is comforting for the pain, and can actually reduce swelling and itching a good bit. Warm compresses are also useful when applied several times throughout the day as a natural treatment. When this is not possible, simply placing the palm of the hand over the stye and pressing gently for five or ten minutes has a similar affect in providing heat. If this method is utilized, remember to wash hands immediately after contact with the stye. Other natural treatments for styes include homemade eye wash solutions, most of which are quite effective in reducing pain and swelling. These include a very good solution made of a teaspoon of coriander seeds placed in a cup of hot water and left to cool to a warm temperature, and then strained. A poultice made of potato and placed directly on the stye for 15 minutes gives good relief as well. Compresses made of warm aloe or guava leaves are very old and reliable natural treatments for styes that have historical value. A drop of all natural liquid vitamin A placed on the stye can help in situations where the cause of the stye is due to a vitamin deficiency. Perhaps the wisest move in treating styes naturally is to incorporate several remedies together, to gain the benefit of each. In instances where the stye is still present after a week, a physician should be consulted. Read Caregiving ArticlesWhat are men like you going through to care for their loved ones?